More from Ora: Is 50 Cent a secret Taylor Swift fan?! Legendary producer and label chief LA Reid joins Larry for a story-filled conversation about discovering stars like Usher and Justin Bieber, coming back from failure, and why LA puts Jay-Z in the same category as Mandela. So Damon Dash Thinks He Can Just Take A Ride On Kanye's Coattails? “Usher comes in and he starts to perform for me. He drops down on one knee and he starts singing the song called ‘End of the Road,’ a song that Babyface and I produced for Boyz II Men. It was a really big hit. He starts singing the song and like that I was like,’Oh my god.’ Two things happened, one is a star was born and two I really knew what my calling was that day.” — L.A. Reid on discovering Usher. “‘I don’t know what I saw. I don’t know what I loved about her, but today I don’t feel the same,’ so I made the foolish mistake of letting her go and a couple months later, maybe six months later, one of her songs comes out on another label and it starts to become a hit. I tried to ignore it, I mean I really tried to ignore it. ‘It’s not really going to be a hit.’ And this thing explodes. The song was called ‘Just Dance’ and Lady Gaga was born and I felt like the biggest failure in the world.”— L.A. Reid on his biggest mistake. “They haven’t figured out how to monetize it yet because there are not enough people using the streaming services to really throw off enough money to make everybody understand that it could be our future because the record industry is a challenged industry, as you know. We were the first to be really affected, negatively impacted, by a digital revolution before it impacted books and television. It hit us first and our remedy is the streaming services. But because there aren’t enough people signing up, we don’t see it yet, but I tell you what. If more people sign up for these streaming services and pay, and pay a subscription, then the artist will see revenue like they’ve never seen before, so I do believe this is the future.” — L.A. Reid on if streaming services are for better or worse. “Whenever I’m in his presence, I feel that I’m in the presence of someone extremely important. Extremely important. 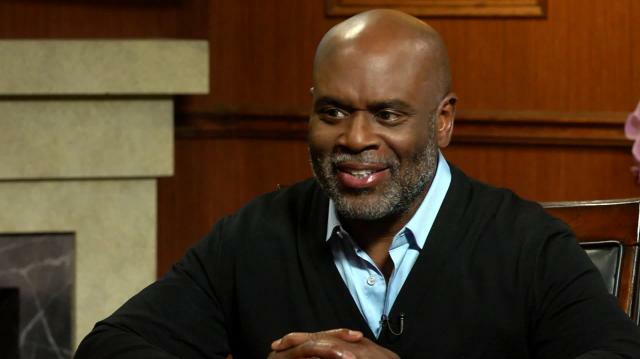 Charismatic, lovable, but smarter than everyone else in the room.” — L.A. Reid on Jay-Z. “Steely Dan. They’re good, right?” — L.A. Reid on the artist people would be surprised to know he listens to.